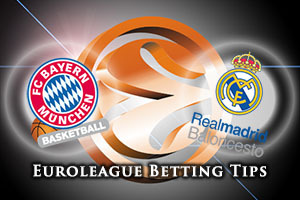 Bayern Munich versus Real Madrid Baloncesto would be a game that captures the imagination in the Champions League football tournament but this basketball clash in the Euroleague is just as enticing and as exciting. The hosts are in third place with a 4-4 record and the Spanish giants are in fifth, outside of the qualification spots, with a 3-5 record. Most people outside of Madrid would be happy to see the hosts win this one. If Bayern Munich win this game, they will qualify for the Top 16 there and then and they won’t need to look at any other scores. If the hosts are to get the win they want, Alex Renfroe will need to be at his best. If Renfroe can utilise his speed and skills in handling the ball against players like Sergio Lull, there will be very chance the home fans will be celebrating. Nihad Djedovic has been the key man for grabbing points for Munich this campaign and he will fancy his chances of doing some damage on Friday night. Real Madrid can’t quality this week but they may see their Euroleague dreams come to an end if results conspire against them. The reigning Euroleague champions know that if they lose and if Crvena Zvezda defeat Fenerbahce, they will be consigned to the Eurocup. This would be an absolute disaster for a team of Madrid’s stature and even if they do squeeze into the Top 16, there has to be a major inquest into why Madrid have performed so poorly this campaign. They still have many of the best basketball players in Spain and Europe but for whatever reason, they just haven’t clicked in the Euroleague, but there is still time for redemption. 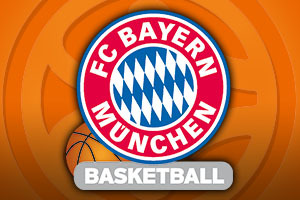 The bookies make Real Madrid big favourites for this game so have a look at FC Bayern Munich at +7 at odds of 1.90. If you have a liking for the Over/Under market, be sure to choose UNDER 162.5 at odds of 1.90 when these two teams clash on Friday night. Bet Now!